ll is not well in paradise for the Indian television and theatre actress. 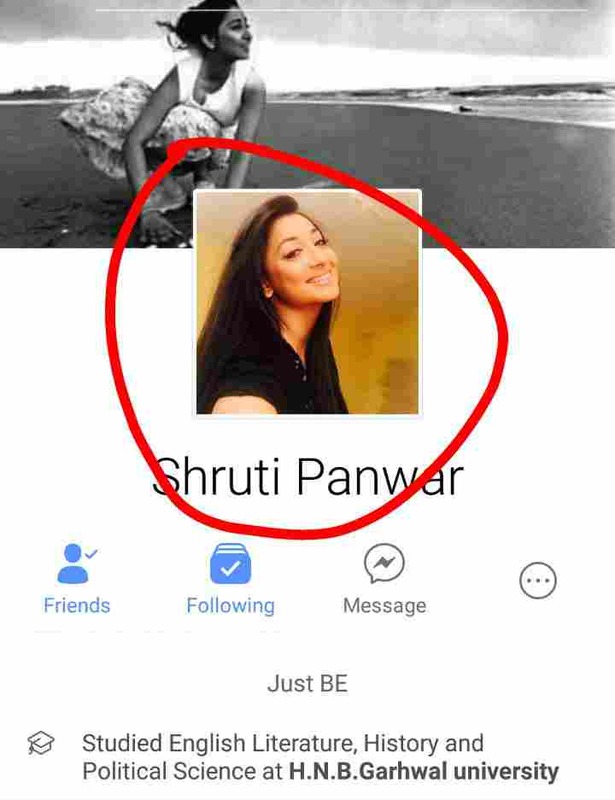 Peepingmoon.com noticed the change in her Facebook profile from ‘Shruti Ulfat’ to ‘Shruti Panwar’ which only leads us to speculate if her marriage to theatre artist Alok Ulfat is on the rocks? We’re not entirely convinced with Shruti’s idea of fun. And when further asked about the real reason behind her surname change, she quickly replied, “See I dont want to get into this right now. If anything happens in my personal life, I will surely keep updated you guys. As of now, there is nothing to discuss much about it." Rumour mills have it that the two who have been married for a long time and have a son, Ojasya divorced earlier this year. Even in Shruti's latest Christmas celebration posts, her husband was missing from the family photos and dinner. Looks like only the sands of time will tell… Currently, their son is living with Shruti’s mother. Shruti has appeared in Bollywood movies such as “Raaz”, “Aetbaar” and “Yeh Hai Mumbai Meri Jaan” alongside Bipasha Basu, Amitabh Bachchan and John Abraham.